The closing of the Ashumet town well because of contaminated groundwater emanating from the Massachusetts Military Reservation and the realization that the contaminated plumes might threaten other sources of drinking water put groundwater protection at the forefront in the 1980s. The creation of The 300 Committee was well timed for Falmouth: the Department of Public Works suddenly had funding support for appraisals and assistance negotiating sales agreements with landowners. From the start, water protection was an important goal of The 300 Committee. Seventy-five percent of the land selected for town acquisition in the first year was in a water recharge area. In 1987, the land trust and the DPW worked together on the town purchase of nearly 100 acres in Hatchville around Crooked Pond, which the DPW had identified as a potential well site. An 80-acre parcel on the west side of the pond was purchased below the appraised value from Robert and Dorothy Williams. At the same time, the town bought the abutting 18.8 acres from the estate of Elsie Baker. In addition to the well site, Crooked Pond has high conservation value for its pond habitat. Undisturbed coastal plains ponds were once common and today are increasingly rare. 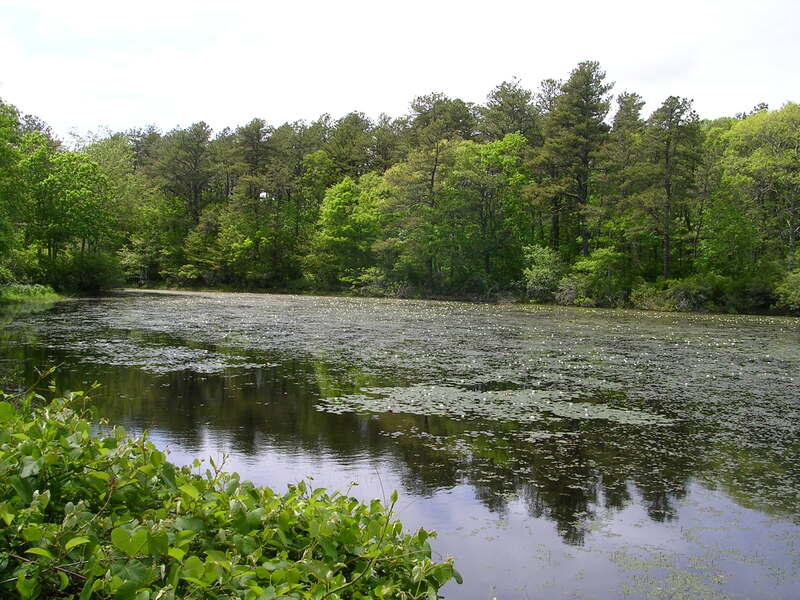 In 1982, the state Natural Heritage Program rated Crooked Pond as one of the top 10 coastal plains ponds in Massachusetts. Numerous rare plants grow around the edge of the pond, including Slender Arrowhead, Carolina Redroot, Wright’s Panic-Grass and Hyssop Hedge Nettle. A conservation restriction restricts activities on 25 acres of the pond shore and several wetlands to protect the rare vegetation. With the assistance of The 300 Committee, the town acquired numerous parcels over the years to expand the buffers around the municipal wells: the Fresh Pond well site is protected by 61 acres of undeveloped land; the Mares Pond well has 150 acres, Crooked Pond 99 acres, and the Coonamessett well lies within the 212-acre Coonamessett Reservation.